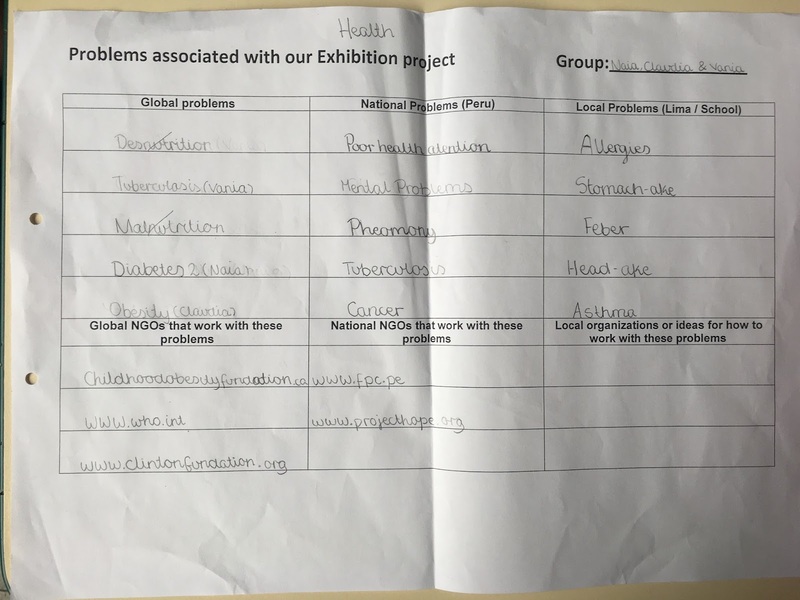 One of the key parts of the Exhibition is to choose a theme or problem for independent research. 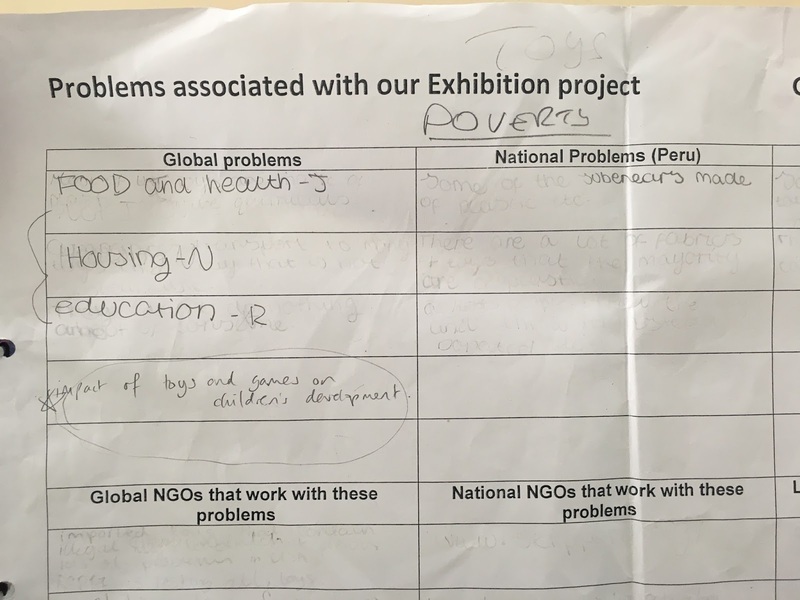 Understanding of this theme or problem and inquiry into it leads to meaningful and thoughtful action that is sustainable. 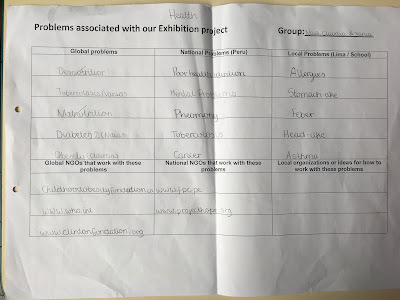 Here are examples of ways that students have chosen problems and themes. 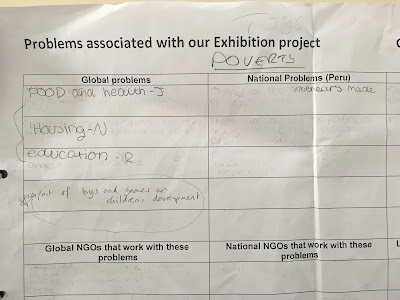 Students have recorded their ideas about these problems in different ways. As the girls mentioned in the video, the teachers have also helped and guided the students where necessary. 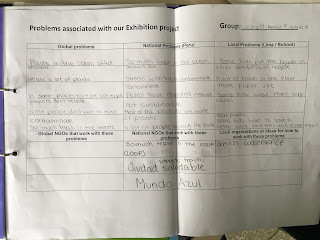 This is an important part of deciding on an area students can really find out new and interesting information about and also allowing the students to take effective ownership of their projects. Teacher notes during a conversation with one group - at the end of the conversation, you can see the group decided for themselves. 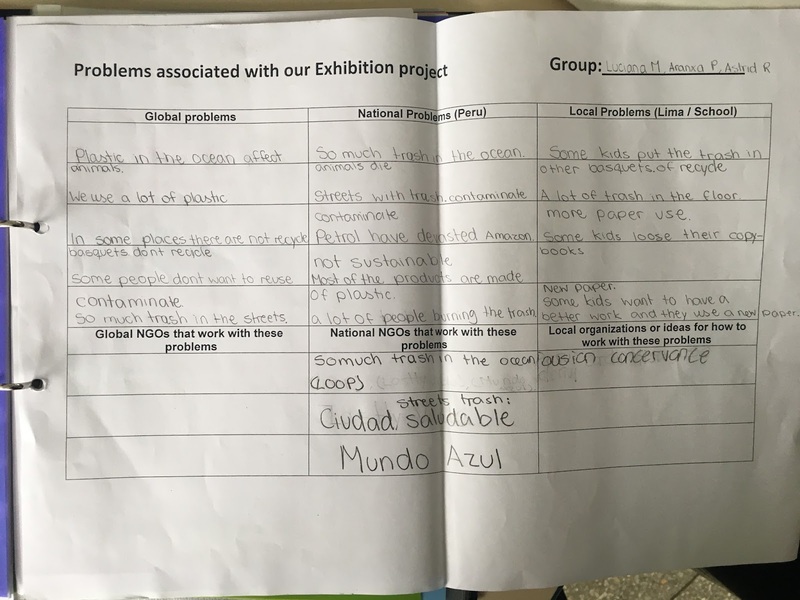 Teachers help students to think carefully about their theme and make adjustments so it can include deep and meaningful inquiry before taking action.